What are the dangers of a passenger’s feet on the dashboard? If you’re a front-seat passenger, keep your feet on the floor. When you prop your feet up on a dashboard, you are putting yourself at terrible risk. Airbags deploy at nearly 200 mph of force. 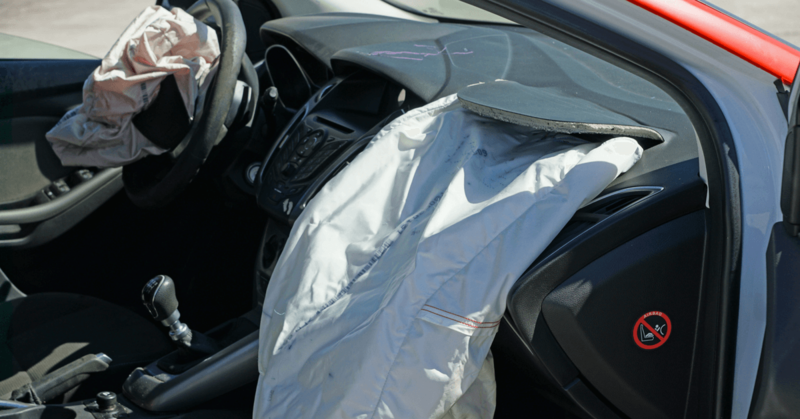 If an event occurs, such as a car crash, that airbag deploys in only a split-second. It will cause horrific injuries to your legs if your feet are resting on a dashboard. As an auto accident attorney who has helped people injured severely in car crashes, you only need to see this happen once to understand how dangerous it is to have your feet on a dashboard. Modern cars are equipped with advanced safety systems like airbags that are designed to save lives injuries. But they are designed to protect people sitting a certain way — with your feet on the car floor. Then, in August 2015, the two of them got into a T-bone collision 4 miles from their home. While everyone else walked away with scrapes and bruises, Tatum’s ankle, femur and arm were shattered by the impact of her air bag. Her foot shot up, breaking her nose. Several surgeries followed. She had to give up her career as an EMS, as she can’t lift patients anymore. She can’t stand for more than 4 hours at a time. But there’s really no way Tatum could have reacted any faster, as airbags can deploy at 1/20 of a second. And in another tragic instance, a 22-year-old couldn’t have considered reacting at all because she was asleep. In August 2010, Bethany Benson was a passenger riding home to Ontario after a Michigan trip with her boyfriend. Her feet were stretched out on the dashboard. As she slept, the car smashed into a tractor-trailer, crumpling the car’s entire front end. The air bag pressure threw Benson’s legs upward through the windshield. She suffered a cracked eye socket and cheekbone as well as extensive broken bones in her feet, which are now two sizes smaller and require orthotics. She has hearing and vision difficulties. And a brain bleed left her with the mental capacity of a 13-year-old. Even though Benson had her seat belt on (Tatum did not), that was no deterrent from the ordeal she faced. That’s because if you’re in a lounging position — as you would be with feet on the dashboard — you’re not fully and properly restrained by the seat belt. Whether you’re a driver or passenger, seat belts are designed for sitting upright, with your back and feet in the proper spot and the seatbelt across your shoulder. Putting your feet on the dashboard compromises that safety measure, leaving you more at risk for injuries like Tatum and Benson suffered.